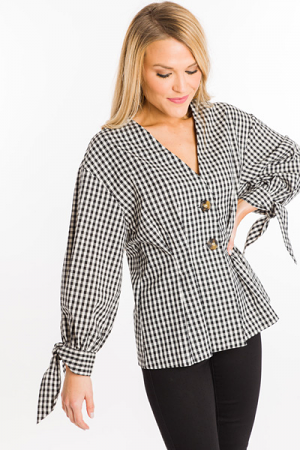 Gingham is always a go, so you can go ahead and add this classic cutie to your cart! Dress has a straight shape and can be cinched in with the removabel belt. Wear it now with tights and a chunky sweater, then style it solo when spring rolls around! 100% cotton. Fit is true to size. Model is wearing size small. 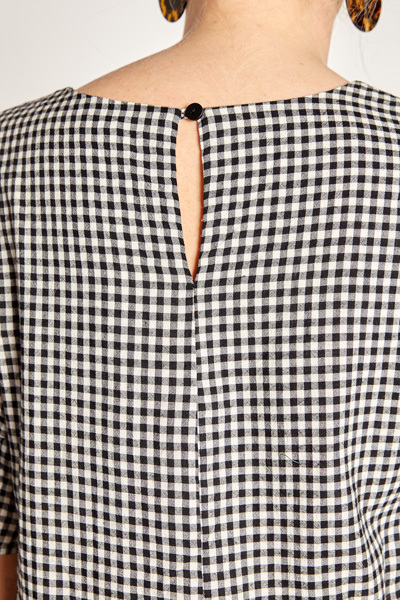 Shoulder to hem measures approximately: S- 33" M- 33.5" L- 34"